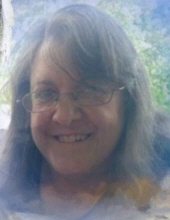 Debra Lynn Matlis , a resident of Milford, MI, died on April 12, 2019. She was 54 years old. She is survived by her daughter, Cara (Nick Petoskey) Matlis; son, Austin Matlis; father, Joseph Adamus; sister, Tracey Adamus; nieces, Shae, Talia, Aubri and Chelsea as well as many close friends and extended family members. Debra is preceded in death by her mother, Loretta Adamus (d. 1988); sister, Kelli Adamus-Gambrell and her grandparents. In Lieu of flowers, the family requests that donations be sent to Our Savior Lutheran Church of the Deaf. "Email Address" would like to share the life celebration of Debra Lynn Matlis. Click on the "link" to go to share a favorite memory or leave a condolence message for the family.